It’s about time to share a benchmark for production quality renders – something nice and heavy, taking 8-12 GB memory and requiring an hour to render in a minimal quality! Here it is (240 MB). Note: you have load file “trusted” (allow scripts to run). This is the 1.0 release of the file, we like to get feedback first and make some updates still. We also work on automatic registration of render stats via an add-on. In the diagram below you can see how it renders here. Are these the final render settings in terms of samples and light bounces etc??? No the quality is intermediate still. We will make a small script to switch later. 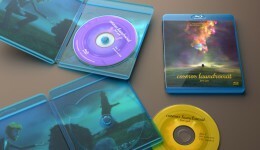 Final quality will be more bounces and with motionblur. Love that render so mech yet ! Just finished the computation. Are the stats already been sent to you? Hi, is there a way to run this benchmark from the CLI in a manner that could be fully-automated from start-up to completion? With the results then being dumped to the output or some file? Do you want the stats posted here ? Thanks, not a bad stat! The new i7s are fast. On my laptop Windows 7 64bit; i7 2.3 Ghz, 8 core, 24GBmem. But since i don’t use loose-less video codecs, in final works this noise gets filtered out by compression video codec in a movie. (as a reminder youtube doesnt use looseless video codecs either) . Notice the look of the noise in AS, in the 35-5, it looks as real photographic noise, as if it was done using my Canon, it seams more ‘real’, (camera’s are less good in dark areas too), noise distribution, is more like a real camera. The noise is in difference with other noise methods (like less samples), its a limit based upon a threshold of tile noise level. the result is that each tile doesnt get the same amount of render samples, and `thus that what gives the time win. Although that noise as said earlier gives expression of fabric better then plastic CG. dough its a kind of taste thing too how one reacts to some noise. I could test it with AS 80-5 too but for this scene with good global light there is no great benefit i think in using AS, it works better in other light/shader settings; but still its not bad, although a bit of trading between noise look, and noise free look. Sheep hair is slightly different since this blender branch didnt have gooseberry hair tricks in it. Is the 2-hour timing for a single frame or for the whole sequence? Seems kinda slow if it’s for a single frame, given that’s a pretty beefey CPU. :D very nice render time! Are you sure ut is a 310 GHz processor? Not a 3.10 GHz? am i right with that the file is setup for Blender 2.74? 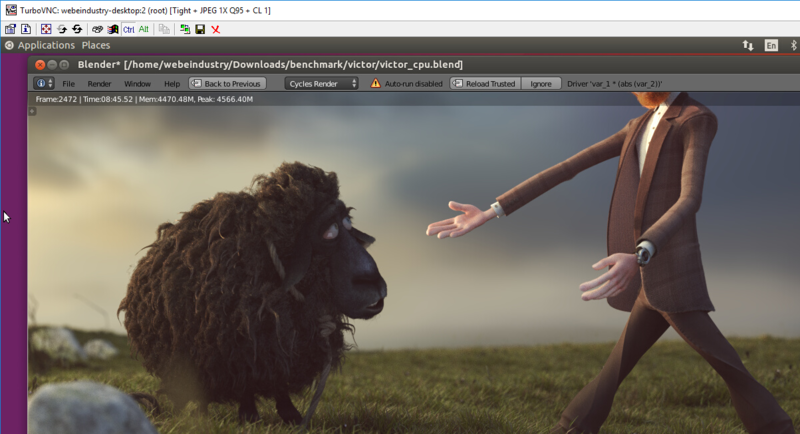 I opened in Blender 2.72, and Frank and Victor looking quite naked, because they do not have any Hair or Fur…. You are right, blender 2.74 have some improvements on the particle system! And new features in general that we want to test. so finally 32 HT cores (and 16 physical) or you have different processor…? Two E5 2660 v3 (10 core cpus). 10 physical cores each with HT. 40 cores total. I have noticed that systems running Linux actually, for what ever reason, render faster than Windows machines. That is why you got a better time perhaps. Render time 1:19:06 :) Good screen :) and good job team ;). What about a GPU render test? Will you be doing them too? I have noticed that systems running Linux actually, for what ever reason, render faster than Windows machines. Does this benchmark work in network render mode or is it for single system testing only? Reason for asking is that I have an HP DL980 G7 box with 8 sockets of 16 HT cores each. For some reason, im not able to get blender to “run” under Windows or Linux correctly in native mode. However, I installed ESXi and created 16 VM’s, with 8 cores each (max for free version) and Blender does run in each VM. I ran some tests with other benchmarks, and it seems to run pretty good. I would prefer to have a single blender instance run natively, but I don’t really know how to diagnose the problem. Blender starts, shows the main window then just exits. And rendering from command line? I try to do gpu rendering, blender and gpu driver got crash for this render setting. I am using gtx titan black. Will be possible to try on Titan X (with 12GB RAM) ? Nobody with a supercomputer to beat our intels? I’m waiting for it! Some university maybe? Trying to find a way to run benchmark in native mode. I’ve been running this benchmark on a 48-core machine (4x Xeon E7-8857 v2), which is part of the Dutch national compute cluster Lisa, see https://surfsara.nl/systems/lisa/description. I get around 40-50 minutes render time. Looking at some of the other results posted would expect it to be a bit faster. This is with the prebuilt binaries of 2.73a and command-line rendering and I notice that after tracing all the tiles (“… Path Tracing Tile 1728/1728”) blender spends a very long time without printing anything, must be at least 10 minutes, before continuing with the final composite step. Top shows it’s only using a single core at that time, any clues what is going on there? The E7-8857 is a 12 core (24 HT core) chip, so if you ran with HT on, you would have 96 HT cores at 3GHz (288GHz total). Have you tried it with HT on? I have a pair of Dell R610 boxes, and find that HT works very well with Blender on all the tests I have done. I get almost double the non-HT rendering speed. I believe HT is disabled on most of our systems, on purpose. I don’t know the specific reason for that actually. Okay, compiled the latest git master and tried again. Now render time is down to 16:04.06, however… the image doesn’t match what I saw earlier. Specifically, the character pose is different and it looks like the final compositing step isn’t applied (the hands and face are definitely not as pink as the other renderings I did on other machines). and I get the feeling not all parameters are applied (correctly). I.e. the output file is named rendered.png0001.png, instead of just rendered.png. Also tested the 2.74RC2 binaries and render time is 16:27.80. Coloring is correct in this version, but pose again is not. The -y should be after the -b. Blender command line is like an instruction sequence. So, with 2.74rc2 (binaries) the rendering was correct. Just rerendered and at 16:24.40 slightly faster than the earlier attempt. Oh, and I tried to compile git master with the Intel compiler, which can usually squeesh a bit more performance out of an Intel CPU than GCC, but it fails to compile. If interested, I can retry to get the exact error. I’m surprised to so many essentially supercomputers here, makes me think that the project files should be shared so people around the world can render individual frames or sequences and send it back to be compiled. Could almost beat the 17 million core computer pixar used on big hero 6. But maybe that would be more useful on the (hopefully) next project doing a full feature film. Ok, ran the benchmark in network render node on a HP DL980 G7 box. 1) Was not able to get Blender to work in either Windows or Linux when installed on the base HW (128 HT cores @ 2GHz). Didn’t have time to do any significant debugging, but I would have prefered to run all 128 HT cores on a single instance of Blenderr. 2) Was able to use ESXi to create 16 x 8-core VMs and got Blender running on each VM under Linux. Im using the free version of esxi, so was limited to 8 virtual cores per VM, thus I built a single VM and just copied it 15 times to get all 16 nodes. 3) When I rendered, the network render sent each of 7 frames to 7 VMs, meaning that less than 1/2 the box was being used. 9 of the VM’s were idle. I suppose that it would be nice to have the benchmark contain at least 16 frames, but it is what it is and I don’t expect admins to re-work test just for me. 4) Run-times of each frame varied from 2690s to 3620s, but all 7 frames were completed in 3620 seconds. The net processing power of the 7 VM’s was 112Ghz out of the 256Ghz available on the box. So, I should have been able to complete 16 frames in approx the same time as the 7 frames due to the idle cores. Anyhow, the takeaway is that this box in it’s current configuration is available for rendering if anyone want’s to use it. If there is any interest, I could poke at it further and see if I can get Blender working in a single instance rather than 16 smaller instances, but I could use some help in tracking down logfiles and such to tell me what’s going on inside Blender and what issues it’s having. Cores should be equvalent to 2.9 GHz Intel® Xeon® E5-2666 v3 cores, for c4.8xlarge with turbo boost it can speed up to 3.5 Ghz. Did not render exactly as expected – Victor’s pose is wrong with legs strangely twisted. Have not found yet, why this happened. Any ideas? I used James Yonan’s Brenda scripts by the way… Easy to use and faster than fiddling with virtual machine directly through telnet or remote desktop. You have to load the file as a trusted source (a checkbox in the open dialog). Some of the drivers, I am assuming, use some scripting that Blender blocks on startup (helps hinder malicious activities people could exploit through Blender). Just make sure you open the file through the open dialog and check that box. Hope that helps. Oh, I totally forgot that, thanks! I wonder, if there is a way to modify this preference setting through command line? I must change it on the machine that I made te AMI from, but if possible, I’d like to avoid the hassle of setting up Win > Linux remote desktop. Ok, got a re-run using the gooseberry blender. Single frame Time: 22:34.30. X6550 x8 @ 2.00GHz = 128HT cores (256GHz) on a single CentOS instance. Did a benchmark on my humble PC. Blender 2.74 does indeed improve render times. Not that slow for an almost three years old machine. I would really like know how fast a GPU can handle this particle hell. @EIBRIEL You said the file is currently not ready for GPU render. Which is true…I did some GPU render tests that crashed blender every time and sometimes the Nvidia driver as well. 31 minutes 52 seconds on one of RenderStreet’s CPU servers. How are the settings for the final shot compared with this one? So, my grandson got a hot, new graphics card for his workstation (a system I built a couple years ago), an Nvidia 980ti (about $800). Recently, I got this old but great server from Potomac eSTORE for about half that. It’s about a 5-year old system, expensive and fast in its day. Had to add an extra circuit in the house to power it. Got a cheapie VGA monitor, mouse and keyboard for it. It all works fine. I recently installed Windows Server 2008 R2 on it. Today, I finished getting all the firmware and OS updates. I got Blender software going on it and downloaded this great benchmark program to test it. The system actually used about 20 GB of RAM total while doing the job. There is something to be said about older technology that, while not as glamorous, is still able to do jobs that can bring some new technology to its knees. We’re going to have another run of the server against his graphics card tomorrow. This will be an animation job of mine with a much smaller RAM footprint, so it will be a more fair test. His system will probably smoke mine. But, that’s okay. The old server has already proven it packs a hefty and effective punch. The file is broken for blender 2.75a. Armature of victor is destroyed. yup in 2.76 as well. Intel(R) Xeon(R) CPU e7450 @2.4 Ghz 4 Processors ( 24 threads) 128 gig of ram. I have 3 of these machines and one of the cpu trays renders slower then the others. I’ve been all over the bio’s and as of yet I’ve not figured out why. 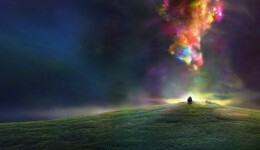 Of the two faster ones, one has some more going on in the background then the other so that accounts for that. But one machine seems to take like 5 times longer no matter what I do. I’ve been all though the bio’s and I’ve swapped drives and ram out. And so far it don’t seem to be an overheat problem on the CPU’s. In Windows CPU-Usage for blender always have been 99 % because of a lot other things running in background. I think this is the reason for the time-delta about which linux is faster . I will write down the exact time after finishing! Oops I have to upgrade blender, cause Victor srmature was broken as staten earlier. Windows 10 is a poor choice for rendering, Ubuntu would probably shave ~10 minutes off that. This is not an active blog, the movie project ended 1.5 year ago. Check blender.org ‘support’ for better places. This idea is called distributed computing or more specifically distributed rendering. It’s existed since the early days of the internet. Look into boinc. SETI@home was the first time I used it back in the 90s. Blender has a channel for it. Did a few test with this old benchmark blend, wanted to see what my old cpu could do. 1x Intel Xeon E5 v4 2011-3 18 core 36 thread 32GB ram, windows 10, blender 2.78c. 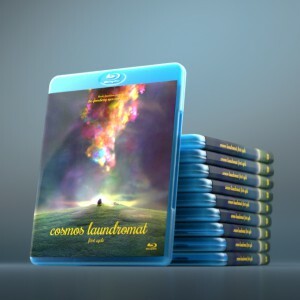 Got the Cosmos Laundromat movie on Bluray from the blender store ages back, so don’t need to render the film to watch it. But still had a little go at rendering a few seconds animation from the benchmark blend, I adjusted the samples down to 128 to try and speed the frame render rate up a little for my pc. Took between 18-20 min on average a frame, so under 16 hours approx to render 49 frames, to get just over 2 seconds of Victor and Franck running at 24fps 2048×858. Only had one problem with frame 2443 that crashed when running in the batch, rendered it again seperate. GPU (3) 980ti texture limit 2048 + culling. Previous time was at 32×32, not optimal for GPU. Changed tile size to 384×384 & upgraded to 24GB no more swapping. I decreased my time substantially, and am at the top of the heap. 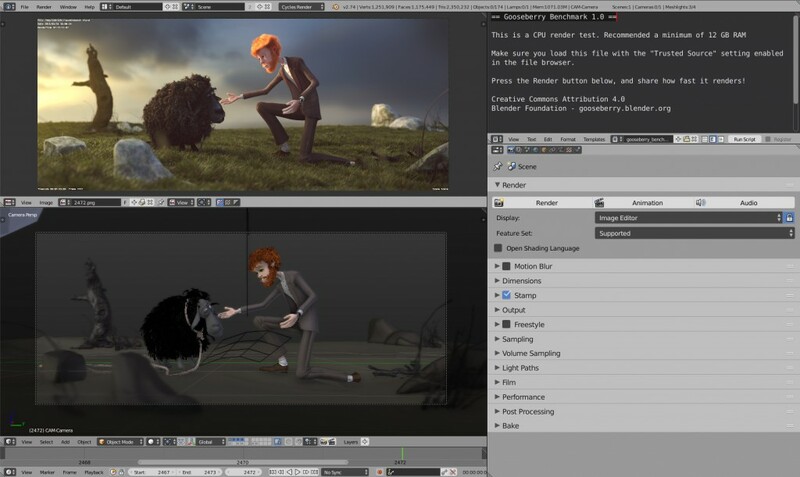 The sheep (Franck) shows up naked when the file is opened and cycle renders naked also…. there is a red circle on top of the eye in the outliner. I am not the most knowledgeable with blender but I have tried toggling on all the fur in the outliner to no avail. 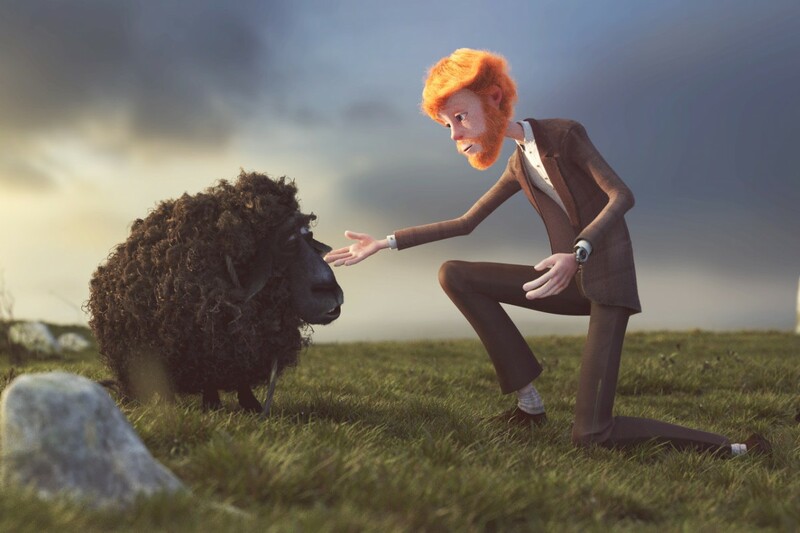 Render still shows none of the Sheep looking wool fur. What am I doing wrong? I’d like to claim the first sub 5 minute time at 4:35.06 using one of the University of Waikato’s new Driving Sim boxes. As you would expect there are a few tricks. Mainly using one of the new nightly builds with combined CPU+GPU compute. I set the tile size to 16×16 and the thread count to GPUs + CPU cores. Machine is an overclocked i9-7980xe with three 1080ti’s. Win 10 . I look forward to see what those 8 GPU servers out there spit out! This is a speedy li’l thing, this CPU. Haven’t got my Noctua cooler yet but I reckon this one will easily clock higher with a few more milli-volts! note: image begins rendering on-screen at the 5 minute and 30 second mark.